The new commercial talks about the rising need to use data and how people are Upgrading to Clay to meet their data-related needs overseas. Now you can access office mails, make video calls, use business apps and so on at a cost-effective price of Rs. 199 per day. With Clay, don't put a limit to connectivity during your overseas travel. 'Your office in your pocket, across the globe' at just Rs. 2999*/- per month. The all-new Clay Global SIM Service is here. Packed with action and humour, it is a fast paced commercial that will hold you and surprise you every time you see it. Of course the core communication of economy comes out clearly. 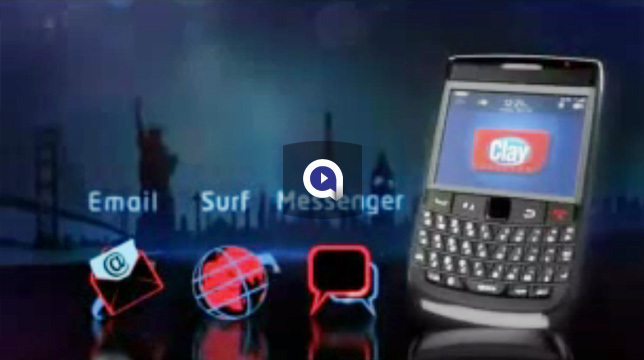 It is all about unlimited e-mails/ text messages and surfing the net, when abroad at affordable prices. Come, enjoy! The commercial plays around with the insight that when cost problems trickle down to the micro level and start affecting employees, then something's definitely wrong. What the communication essays is that here's a better way for corporations to save costs! Airing of this commercial also coincides with the timing of the slowdown, and hence is more identifiable.